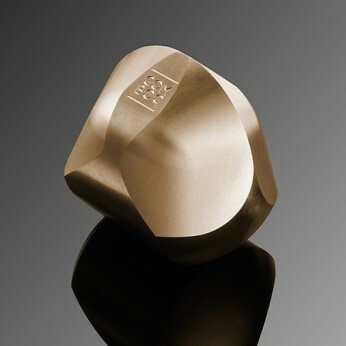 The Bronze Gömböc is the heaviest in our product line. It appears unstoppable as it moves, slowly finding its balance. This Gömböc is for deep-thinkers who like to think over their possibilities thoroughly before deciding. The slow movement of this Gömböc can reinforce consciousness and bring simplicity into the chaos of thought. The Bronze Gömböc is made of copper alloy, a significant material in many cultures. Due to its density, the Bronze Gömböc can move continuously for several minutes on a plain surface until it finds its equilibrium point. 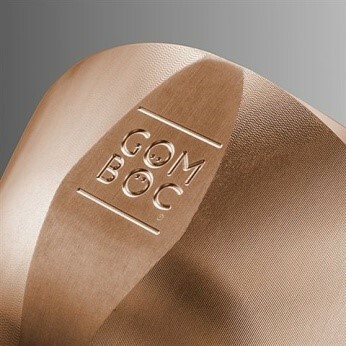 Because of the physical features of bronze, this Gömböc is nonmagnetic and oxidizes only on the surface, which means that a thin layer protects the underlying metal from further corrosion. Choose our Bronze Gömböc as a unique and exclusive gift for any special occasions!